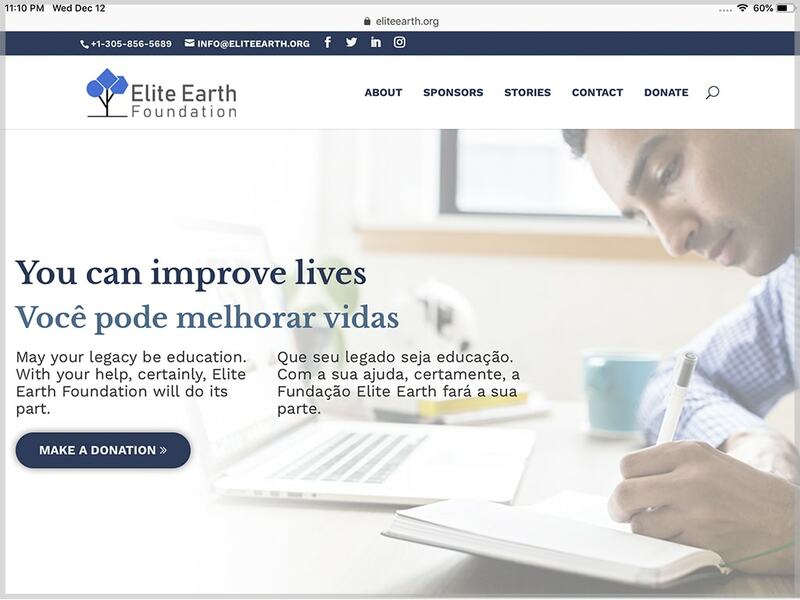 Elite Earth is a foundation whose purpose is to help adult immigrants obtain training that allows them to get a job in the United States. They needed a website where they could expose their goals. They also wanted to tell their experiences on the foundation’s blog. Also, they wanted to thank the help of the companies that have sponsored them throughout their existence.